AEPQ and its structure conduct various surveys under the scope of their projects and within in their areas of action. AEPQ also provides consulting through a structure for Surveys (SEI), offering the other Tecnico Lisboa services, as well as other customers a methodological validation service of surveys per questionnaire and interviews. On-going and closed projects may be viewed according to the following topics: internal user satisfaction evaluation surveys, Tecnico Lisboa core activity evaluation surveys, surveys conducted by external organizations. This topic provides the results of the surveys on the evaluation of Tecnico Lisboa user satisfaction, which allow to determine the quality of the institution’s services. This topic provides the results of the surveys on the evaluation of the Tecnico Lisboa core activities (teaching, R&D and link to society), which allow for better knowledge and analysis. Some surveys, which are the responsibility of other Tecnico Lisboa services or units, have the collaboration of AEPQ to validate the methodologies adopted, taking into account the proposed objectives. This topic provides the results on the surveys applied to Tecnico Lisboa population by external entities. 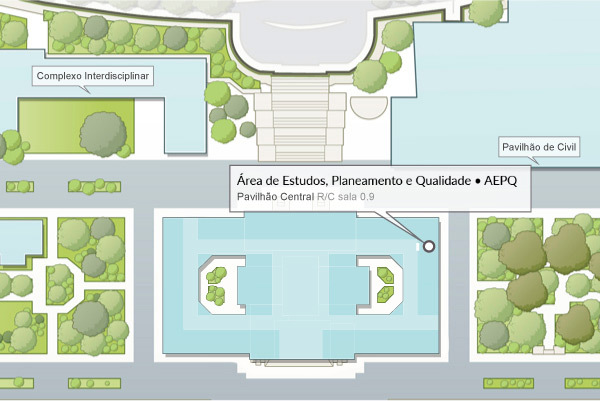 After AEPQ’s opinion, the surveys are subject to the authorization of the Management Board.